While speaking at the All Progressives Congress stakeholders’ meeting in Ikeja on Monday, Bola Tinubu, took a swipe at the Lagos state governorship candidate of the Peoples Democratic Party (PDP), Jimi Agbaje, for saying he wants to free Lagos. Recall that Jimi Agbaje in his campaigns had said he that he will free the state from Alphabeta Consulting, a company which he claims receives a percentage of every dime Lagos earns in taxes and revenues. In reaction to Jimi Agbaje's comments, the APC national leader, Tinubu, said: “Those who said they wanted freedom should go and learn tailoring and vulcanising and we will do freedom for them later. They do not have the people. 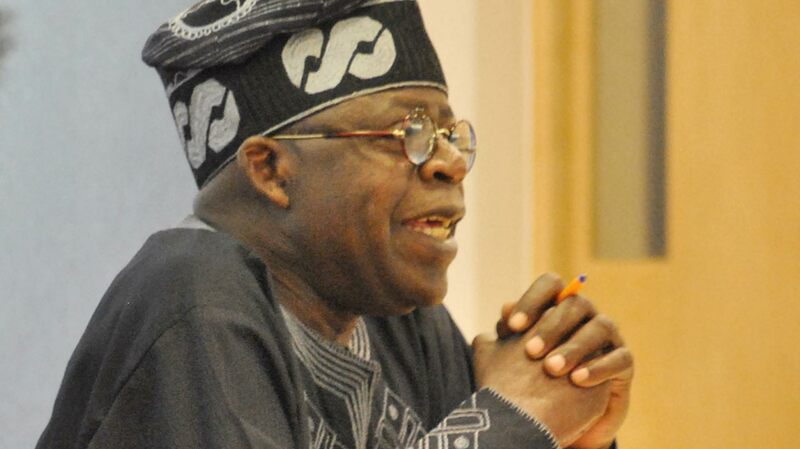 Tinubu said Lagos must deliver at least three million votes for the APC during the 2019 polls, adding that it is imperative for the ruling party to hold on to power and that its members “must vote en masse” for President Muhammadu Buhari. Tinubu urged the party’s leaders to woo back those who have left the APC, charging the local council chairmen and councillors to hold meetings with those who are aggrieved.